The concept of hackathons is well-established and has proven to be very popular among tech enthusiasts for a number of reasons. But in the face of growing interest of women in technology, its current format is bound to change. Hackathons are two or more day-long get-togethers, during which people who are passionate about technology work on software-related challenges. Those challenges are often provided by sponsor companies or organizations, who hope to profit from transforming promising prototypes into finalized products, while at the same time recruiting talents for IT-related jobs, who Switzerland is predicted to dramatically fall short of. As a former participant, I see a number of benefits coming from joining hackathons. It is a fantastic learning opportunity. You can use this time to test a new skill or framework in a setting that keeps you focused and motivated. During its course, you will hear about new advancements in the field, and realize that asking even dumb questions is encouraged, and not frowned upon. It forces you to get out of your comfort zone and grow. Expect to pitch your own idea for a project to complete strangers or explain why you are a good candidate for someone else’s team. Present your work in front of tens or hundreds of people. It will be intimidating but exciting, particularly if you are shy or suffer from an imposter syndrome. You get a taste of smart management and team dynamics. Hackathons are great lessons in terms of execution and efficiency. There is no room for perfectionism – you need to judge where to invest time, how long to try, and when to switch to a new solution. You will be working under pressure, taking lead on some tasks, sharing your know-how, and dealing with different personalities. It opens your eyes to new career choices. Working on an exciting project may convince you to do a career shift. Besides learning while networking or through tech talks, large on-site hackathons feature company booths where you can approach their representatives and learn about your potential workplace first-hand. Just like at a job fair, but in a much more natural setting, they are recruiting. It truly is intense-networking with relevant people. During these few days, you will have endless opportunities to get to know people on a professional level, be it during team-matching sessions, food breaks, or going for coffee together. And it could start already beforehand if a hackathon offers closed groups/messaging platforms to connect. You make a step towards entrepreneurship. People often go to hackathons when they have a business idea that they want to explore. Sometimes your idea/solution might be so amazing it could get bought, or you and your team mate(s) might resonate so well that you will continue working together beyond the hackathon (and maybe even form your own startup). You catch attention if you win. It is not the most important point but in case of success, it does help you market yourself and makes a nice entry on your CV. And if you aren’t a finalist, technically you won all of the above anyway. Hackathons are an obvious career-boost. They will make you more aware of your own capabilities and thus also bolster your confidence, something that is highly desirable for women who tend to undervalue their own skills or achievements more than men. I thus see a great potential in using targeted tech events as a weapon against some of the consequences of gender socialisation, such as the choice of a profession. Many women new to tech say that if somebody had showed them coding when they were young, they would have actually seen that it is a lot of fun. With the growing number of initiatives supporting women in STEM, as well as the accessibility of non-academic learning resources like coding bootcamps and MOOCs, we need to accept that more women will make career switches and slowly enter the ICT workforce. And not surprisingly, on average they do have different needs and expectations of what a fulfilling and friendly workspace should provide, which in turn impacts the design of hackathons. In response to these revelations, we created Hack’n’Lead, a hackathon meant to be inclusive by construction. Here’s what makes it women-friendly and worth attending. We put stress on learning, not competing. For one, we need a different strategy to accommodate women, who realized the economical benefits of working in tech and switched careers. Besides, we need to speak a different language to a crowd underestimating their own skills to convince them that a usually male-dominated event is a place where they belong. Otherwise, they lose opportunities to grow and lead in the sector that is responsible for the nation’s sustained economic growth. We offer childcare. In order to make the event more inclusive, we need to face a reality of an average woman. Switzerland literally refuses to increase the paternity leave. Out of EU-27 states, 80% of people who reduce their working hours in favor of taking care of the child are women, and that excludes the maternity leave. We’d like to see fulfilled leaders and moms, who are not set back in their careers because of the faulty system. And we happily make coding a family experience, offering coding sessions for kids as a part of the program. We get rid of overnight coding to promote work-life balance. We believe people think best when they rest, and we oppose the notion of creating a world, in which innovation is possible only in an extremely competitive environment. We respond to the feedback of our community, who repeatedly voiced out their concerns that praising those who slept the least fosters unhealthy attitude of lack of work-life balance. We also keep it fair to moms and dads who either want or need to return home in the evenings to their children. 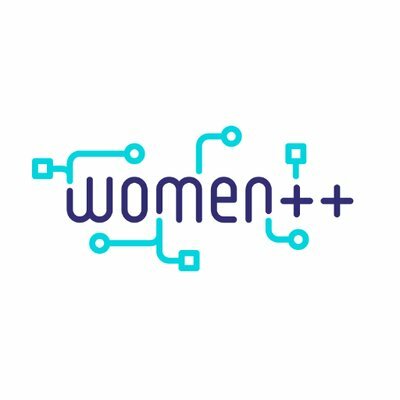 We encourage women to set foot in the blockchain and AI spaces, no matter their level of expertise. These are the fields with technologies of great potential, and female perspective is absolutely required as they are to transform entirely the world as we know it. Building careers in AI or blockchain is easier than ever, with the rise of part-time schools, online learning or bootcamps. The fact that blockchain is a very young field means women can easily contribute to it even as young software developers. We are making sure women are aware of it, and we will provide relevant tech talks and challenges at the hackathon. We organize a preparatory event. We designed a half-day workshop on soft skills (pitch training) and hard skills (machine learning with Google, smart contract development with Validity Labs). We scheduled it 3 weeks before the hackathon, which gives the participants enough time to look deeper into the new subjects. We give unique support: mentors. Partner companies will send experts in various domains, who will be available at the event to interact with the participants as they work on their projects. Mentors can help with technical issues or answer any career-specific or women-specific question you might have. Don’t forget to ask them about their companies and jobs! We create a safe and relaxed space to ensure a positive experience for first-timers. Initiatives for women in tech gained popularity because there is a clear need for them to have a space, in which they can easily meet other women sharing their interests or understanding their struggles. We hope that the presence of female role models and organizers will break the initial barriers for signing up, and that we convinced potential attendees that they won’t be isolated. We believe that it is imperative to create a positive experience for people joining hackathons the first time, as then they are more likely to continue on that path. A women-friendly hackathon is not a women-only hackathon. Many of the improvements we propose will actually benefit anyone setting their foot in the new technology sector and feeling insecure about it. To get out of the comfort zone, learn lots of new things in a short period of time and make serious career changes is a clear evidence of a strength of a character. And as Switzerland cannot keep up with the growing demand for ICT specialists, the smarties choice is to invest into this strongly motivated and growing group. Help us spread the word and unleash your potential at Hack’n’Lead on the 16-17th of June. You can apply to the hackathon here, and register for the preparatory event happening on the 26th of May here.